It's been forever since I did swatching. Man, that is a lot of work. Applying polish, photographing it and removing it all in about 10-15 minutes. I got to the point where I could do 5-6 polishes in an hour. Then you had to do the image editing to crop the pictures and make them all look uniform and colour correct. But every now and then, I do love to show a swatch and today is one of those days. 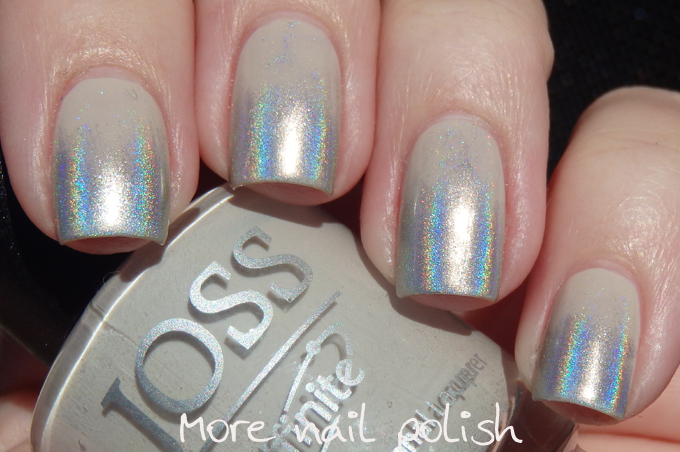 I have two polishes to show you that were in the VIP bag at Aussie Indie Con. 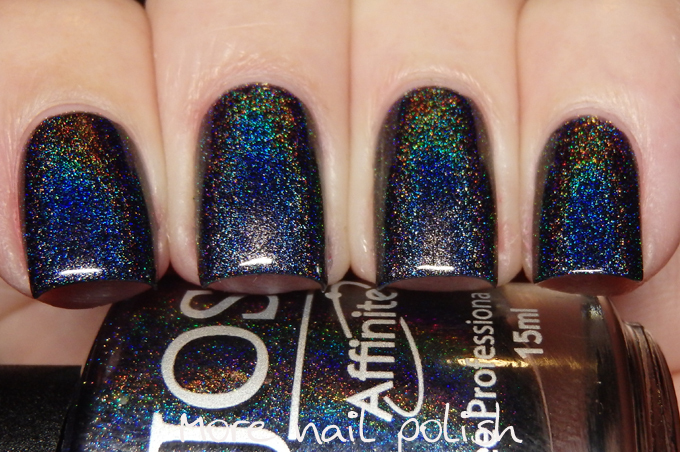 They are both JOSS polishes, which I have a huge passion for. 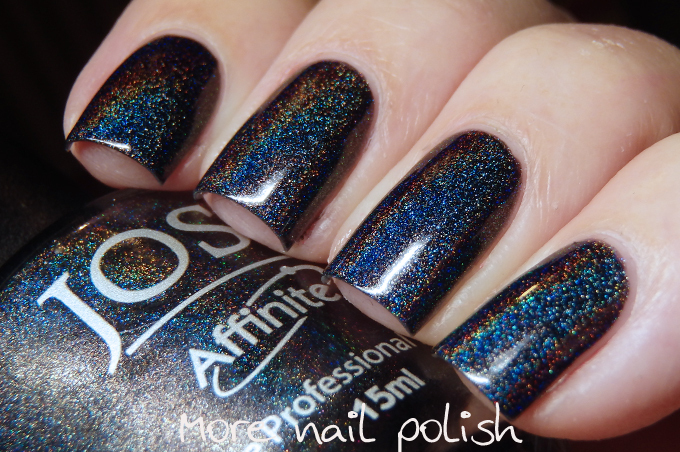 First up is Black Magic Holo. 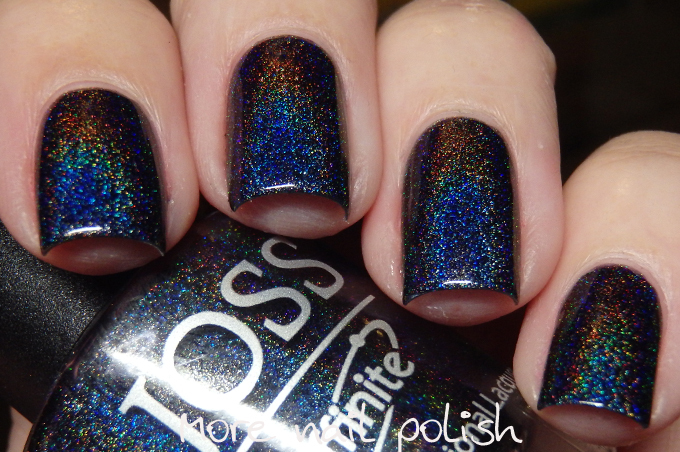 As you can see it's a black polish with a strong holo flame. 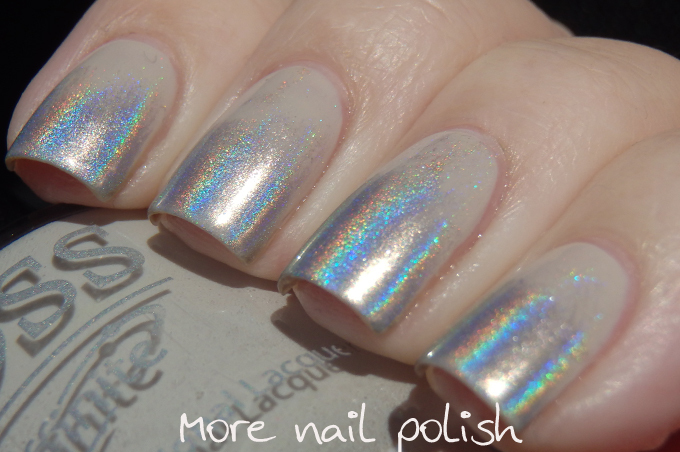 Opactiy is great and you get full coverage with two coats and top coat doesn't effect the holoness. The second polish is called 'Better than Bare' and its a very natural naked shade. 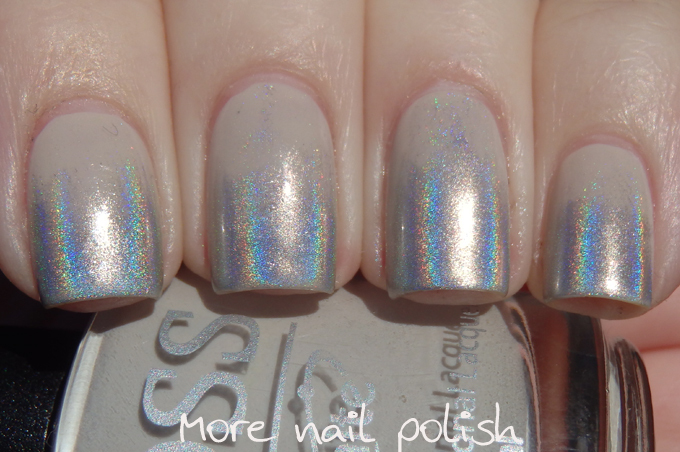 I attempted to create a holo tip gradient, which has been a huge Instagram trend recently with salon nails, usually in a ballerina or coffin shaped mani. 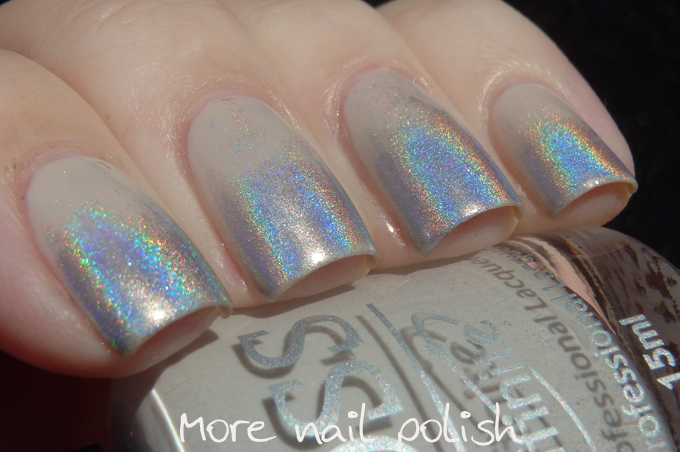 I did it by rubbing some holo powder into the tips, I liked the look, but I think it looks better on really long, and more pointed nails rather than my square ones. 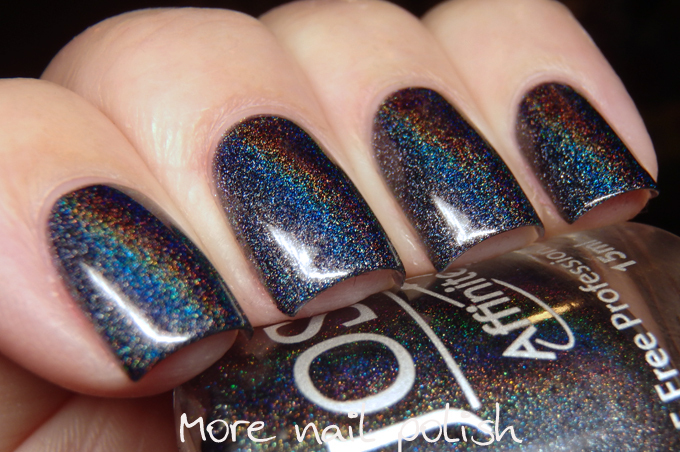 Black Magic Holo is a pure perfection!